Hot & Crispy ® is focusing strategy to launch the concept across the world and offers currently franchise opportunities in many territories. We are looking for franchise partners to award exclusive rights for multi unit territory development. Our focused growth strategy is by means of either partnership or franchise. 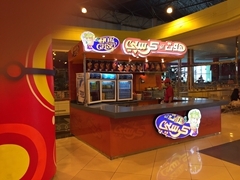 H&C retail locations are shopping malls, streets, amusement centers, supermarkets, airports, children parks, sea resorts etc..
H&C offers high quality products, services and high return on investment. H&C offers premium support to its developers; training, motivation, management of franchisees, common advertising, promotional campaigns, design and fit out of premises, supply of raw material and equipment. Qualities required from the developers are: proven track record in successfully managing retail fast food businesses, developmental capabilities, management infrastructure and passionate commitment to customer service. 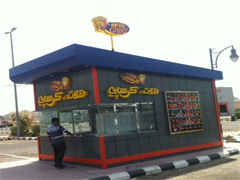 ‘Customer satisfaction’ is of utmost importance to Hot & Crispy as satisfied customers are the life-blood of H&C . 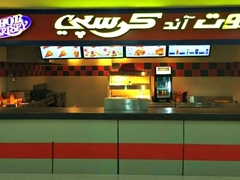 Respect all the rules and corporate image of the brand Hot & Crispy ®, developer has to ensure that maintenance of Hot & Crispy units are done in accordance with the concept design, standard and its original specification, proper training to hired sales staff, maintain every unit neat and clean, staff uniform in accordance with H&C’s design and standard, products sold must be solely fromHot & Crispy’ portfolio, customer satisfaction, which is the valuable asset of Hot & Crispy. Hot & Crispy ® is committed to product development by continuously adding innovative items to its products portfolio. Hot & Crispy has a specialized team dedicated to product development. Hot & Crispy’s cutting edge marketing materials are specially designed to build sales and profits, and we are committed strategic marketing plans. Our team brings all the finest ingredients to produce the best and most cost effective marketing tools. Promotional programs keep Hot & Crispy ® top of mind with consumers, driving customer counts and increasing sales. Our procurement department can provide to developers with all raw materials as well as equipments. Our raw materials are outsourced from the finest potato growing regions of the world through world famous international sources existed throughout the world, who are processing a diverse range of potatoes in their processing facilities, which are high quality, consistency, taste and easy to prepare. H&C kitchen equipments are specially designed to fit-out the store and cook the products right there on the premises. 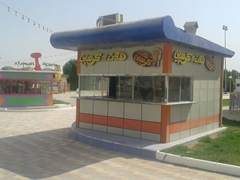 When developers join our team, we will start providing them with all services like site selection, training, shop design, equipment and raw material ordering, control system , supervision , cost & quality etc.. After the operation start, a system will be in process to operate the business effectively (field support, franchise services etc..). Copyright 2016 Hot & Crispy.